Sometime around January, I realised that if I wanted to celebrate my turning 40 with a party, I needed to pull my finger out and start organising it. When I turned 30, I was about 4 days away from my due date with my first child, and was feeling like a hard boiled egg. I had a glass of champagne and a very nice, quiet day, and it was perfect. For this birthday however, I wanted to party. I wanted to party hard. And that is exactly what I intend to this Saturday night! A lot of my dear friends have had amazing parties for their 40th’s – elegant occasions to start, with black tie, champagne and fine food, usually progressing into raucous dancing (badly!) to 90’s anthems in the small hours, sometimes in a country house hired for the weekend. So much fun. However, budget restrictions meant that hiring a country house was not an option, plus I wanted to go against the grain and do something a little bit different involving my favourite things – festivals, music, vintage and fancy dress! 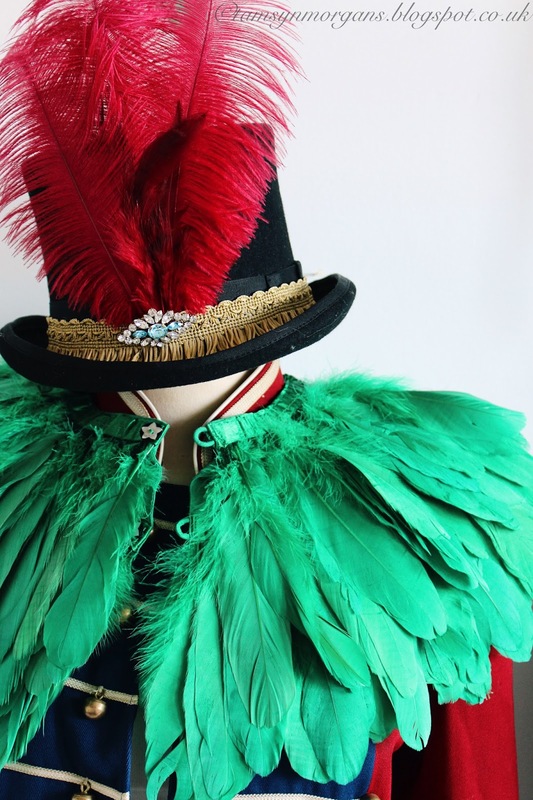 So I decided to pinch the idea of a circus party from all the pre schoolers out there, make it darker and a bit more bonkers with a huge vintage twist, add a 90’s indie anthem cover band in the mix and hello vintage circus party! 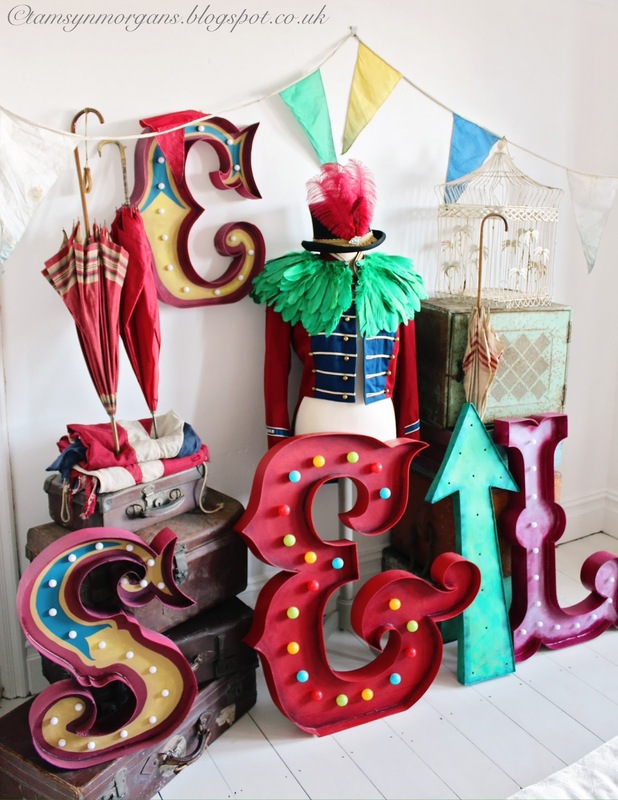 Cue lots of prop buying from car boot fairs and learning how to make vintage style marquee letters from cardboard. Which, by the way, I became a little obsessed with, and made lots of – more of that in another post! I’ve intentionally stayed away from my beloved pastel colours and pretty vintage to go for bright, bold and kooky. I’m decorating my beautiful old fashioned canvas marquee today – can’t wait to share some pictures with you! How I wish I'd been as organised as you. I turn 40 at the end of August and I've done nothing about it. All this looks amazing, I can't wait to see more. Sounds like its going to be fun, and a Birthday to remember!! 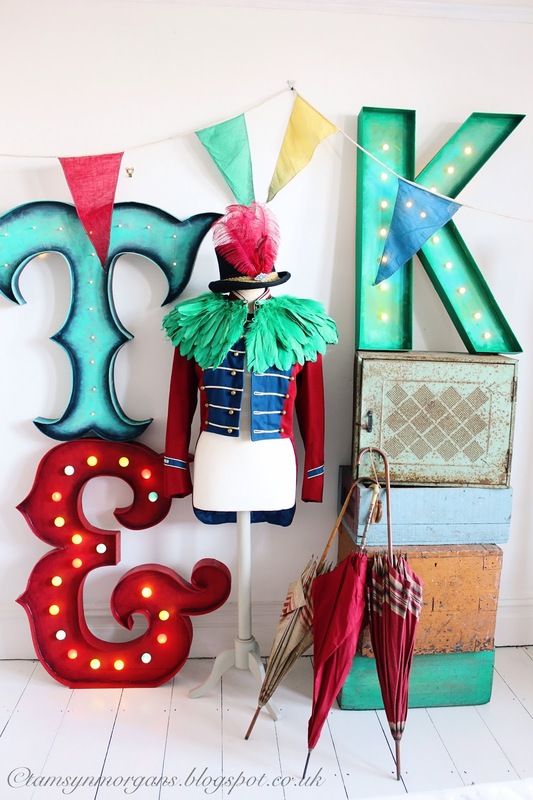 Love all the quirky circus themed finds and makes. I hope you have a wonderful Birthday! Many happy returns – hope tomorrow's party goes with a bang! You are the most amazing person. Those letters are just…amazing! Love the colors, and hope you had a night even better than your wildest dreams! Happy 40! Wow – it looks amazing! Seriously impressed with all the effort you've put into it. Would love to see more 🙂 Oh and of course Happy 40th Birthday my lovely!